Cattle feeders’ number one concern was feed inputs. Not any more, says Mike Sands, Informa Economics. The market analyst predicts corn will not stay as low as $3 per bushel (bu.) for long, but the new trading levels for corn may be of little consequence compared to the declining feeder calf supply. Amarillo, Texas, last month. The meetings were co-sponsored by Pfizer Animal Health, Certified Angus Beef LLC (CAB), Feedlot magazine and Land O’ Lakes Purina Feed. Cowherd returns have fallen from $180 per head in 2005 to just a few dollars in 2008. 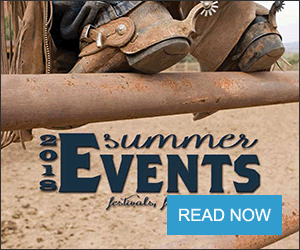 “Typically, changes in profitability have about a two-year lag effect in the size of the cowherd, so the slowdown in returns in 2007 and 2008 will continue to impact the size of the beef cow herd as we go into 2009 and 2010,” Sands said. This past summer, cow slaughter hung around 20% above a year earlier, suggesting about 700,000 cows were taken out of the nation’s cowherd during the calendar year. That reduction could extend into the next few years, bringing total cutbacks to a million head. He estimates the industry is peaking seasonally at 80% feeding capacity right now and he expects that number to dip to under 70% by late spring or summer. “It’s going to be real tough for a lot of cattle feeders to maintain profitable operations with capacity utilization rates slipping that low,” he says. This could lead to changes, including shifts to dairy or beef heifer developing, more specialized backgrounding yards and more consolidation. Feed prices are actually the good news. The industry has adapted and draws on next year’s grain production are going to be less. Smaller cattle, hog and chicken populations will bring feed use down. “I’m not sure it’s ever happened that we’ve cut every major species at the same time,” he said. Ethanol accounted for 4 billion bu. of a 12-billion-bu. crop, or nearly a third of corn use, during the last growing season, but that could even decrease somewhat. “At the present time we are producing ethanol in excess of the mandates, so those numbers could be paired back a little bit in 2009,” Sands said, noting that’s a short-term relief. Last summer’s skyrocketing corn prices, coupled with the collapse in crude oil and gasoline prices, has eroded ethanol margins. “That may slow down the rate of build-out in ethanol production, but in no way, shape or form, do I think we’re going to be rolling back the clock,” he said. Sands expects 2009 corn production to go up, because of both planted acres and yield improvements. Exports have also slowed, especially as the U.S. dollar increased in worth the latter part of this year, picking up about 20% of its lost value from earlier months. This all seems to pressure corn prices downward, yet Sands said it does not mean long-term prices will “bust” from the new, higher base level. The worldwide demand for feed and food continues to increase, as places like China, India, South Korea, Hong Kong and Singapore continue to grow in wealth. The economics favor higher retail beef prices and strong beef demand, despite the U.S. recession and worldwide economic slowdown, he predicted. “I keep hearing that we’re in a recession, and isn’t that negative for beef demand? Historically, no,” he said. Beef consumption will get smaller, but mainly because we’re going to produce less. “People are going to talk about eroding beef demand”and that is still a risk”but historically, that’s concentrated in the foodservice industry while retail demand increases. Taken together, beef demand during recessions does not fare badly,” Sands explained. To hold or grow that line over time, producers need to keep supplying consumers with the type of beef they’ve continued to crave. Online copies of the event presentation can be found at http://www.cabpartners.com/events/past_events/index.php. 1. Foreign demand for commodities will maintain upward pressure on prices, despite the worldwide economic slowdown. 2. Feed costs will remain volatile and high in relation to cattle and beef prices. 3. Sourcing feeder cattle and using feedlot capacity will be an increasing challenge for feedlot managers. 4. Consolidation in feedlot size and geographic shifts in cattle feeding will continue to strain the industry. 5. 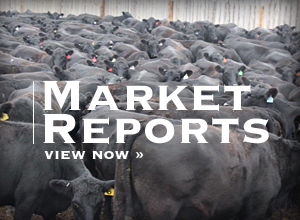 The large out-front futures price premiums, due to aggressive commodity fund buying, will be less disruptive to cattle feeders’ risk management efforts.